On Friday, Nov. 9, Kean held their Veteran's Day Ceremony to commemorate veterans and their families. On Friday, Nov. 9, Kean held their Veteran's Day Ceremony at the Miron Student Center (MSC) Room 226 to commemorate the men and women who have served the United States, as well as their families. The ceremony began with Sergeant of the U.S. Army and Kean Alumnus Frank Schupp thanking everyone for coming and having veterans present to stand and be acknowledged for their service. Afterward, a rendition of "Amazing Grace" was sang by Nancy Salters, which was proceeded by a presentation of colors and later an invocation by Catholic Campus Minister Mariama Roldan. The pledge of allegiance was then headed by US Marine Corps Veteran and Kean student Danial Darasz, which was followed by the national anthem performed by Whenesdday and a moment of silence for all fallen veterans. Director of Veteran's Student Services Vito E. Zajda then came up to the podium to thank the Kean community for coming together and helping the 251 veterans who have chosen to be students at Kean University. Zajda was especially grateful for all the efforts the community has made to help homeless veterans, especially with the food drive collaboration with the School of General Studies and veteran specific scholarships available. Zajda was overcome with gratitude as he presented the Kean V.E.T.S. award to Schupp for all the help he has given the office and the veterans under their care. In his thank you speech, Schupp said, "I know the importance of helping vets who are having a hard time because not too long ago I was that vet in crisis and having a hard time. I saw how difficult it was and I was lucky enough to go through different programs and get different kinds of assistance to be able to get better and back on my feet. I am so surprised at how much my life has changed and how much better my life has gotten because of programs like the [Veteran's Student Services] who work tirelessly day after day to try to help vets." He concluded his thank you speech by explaining the importance of veteran programs as veterans often experience trauma that is difficult to relay to non-veterans. Having experienced the positive impact of these programs, Schupp has decided to devote his life to helping other veterans as others have helped him. Afterward, President of NJ Veteran's Network Michael Boll presented on the organization's efforts to help traumatized veterans. NJ Veteran's Network is a community of committed volunteers who reach out to veterans in crisis in an effort to help them readjust to society after their experiences. Boll emphasized the importance of volunteers and partnerships in the success of the rehabilitation of veterans and how they are always looking to further expand their network of volunteers and veterans in need. The importance of volunteers was also emphasized by Schupp who introduced the Isaac Candelario Award. The award was named after the late veteran Issac Candelario who helped volunteer at a benefit fundraiser for a little girl despite the pain he was in from his bronchitis. The award was made to remember his love for veterans and the community. The recipient of the award was Jonathan Vasquez who has proven his dedication to veterans and the community through his persistent volunteer efforts. 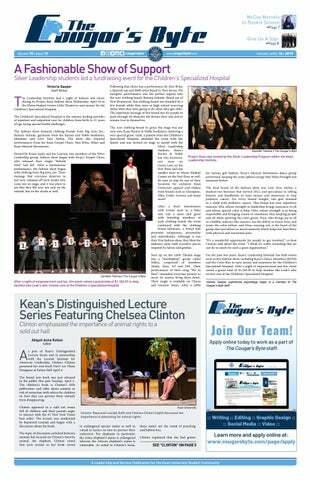 US Marine Corps veteran and Kean student Edward Thompson was then introduced by Schupp and gave words of encouragement to all the veterans present to continue pushing on in life. Afterward, Student Organization representatives came to recognize all the veterans who have served on behalf of the Kean student body. Student Organization President Francisco Reyes said, "Because of your bravery and continuous fight, we don't live in constant fear of violent conflict the way other countries unfortunately have to face each and every single day. You all truly stand by the principles, truths and values of our country. Your spirit teaches us to never quit and that when we are knocked down, to get right back up. Thank you for instilling these characteristics in not only us as individuals but us as a country as a whole. Thank you for the sacrifices you and your family have made." The ceremony closed with Salters' rendition of "God Bless America" and the retiring of the colors. 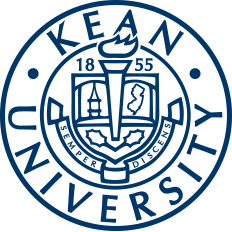 If you or someone you know is a veteran in need of assistance, check out Kean's Veteran Student Services, phone them at (908) 737-0480 or email them at veteran@kean.edu. For more help check out the NJ Veteran's Network or phone them at (973) 332-1556 or email at mdbollio@optonline.net.